“When I first walked in, I was greeted by the friendly front desk staff. They were very nice, answered all my questions, even the most difficult ones. The place was busy, but I still got in and out without denting my schedule. Overall, the experience was great, Dr. Chiang and his staff should keep doing what they have been doing!” – Kevin M.
“I don’t often review doctors, but this one was well deserved. I cannot remember the last time I left a dental office happy. This place deserves more patients, which is why I already recommended them to my friends.” – Harriet T.
“Awesome and very clean and organized office. The staff were knowledgeable and took care of me very well. 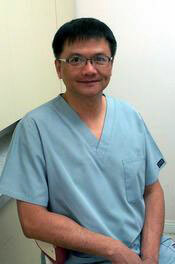 Dr. Chiang knows what he is doing and is amazing at it. I got a veneer to cover a chipped tooth, the numbing and shaving part wasn’t what I imagined, it was a more comfortable and enjoyable experience. I want to send my thanks to Dr. Chiang and his staff!” – Esmeralda K.
“When Dr. Chiang came to see me, he was very polite and made me feel welcome. I was worried because I was not familiar with dental jargon. However, his explanations and descriptions were more layman-friendly and I felt more confident about the procedure. For my first visit, I had a root canal done, which saved my tooth. I now come here just for cleanings and check-ups.” – Jacqueline R.